Surrogacy Lawyer Toronto » Are You Considering Traditional Surrogacy? Are You Considering Traditional Surrogacy? At the beginning of a surrogacy journey, you may be considering traditional surrogacy. If you decide to choose traditional surrogacy, you may be tempted to move as quickly as possible and do a home insemination. That approach has two significant pitfalls. Traditional surrogacy is typically a self-help remedy, chosen because its simplicity is appealing, but it carries significant risks. There are many issues to discuss, but let’s focus on protecting everyone’s health first. There will be more to come on the other risks of traditional surrogacy and advice on how to minimize them in another blog post. Traditional surrogacy can happen in a clinic or in a much less formal environment, typically in someone’s home. Intended parents can be enticed by the promise of trying to achieve a pregnancy next week, or next month or on the next cycle and may try to do things as quickly as possible. Here’s the first piece of advice: don’t rush. In the long run, cutting corners means skipping some very important steps and putting yourself and the surrogate at risk. The law in Canada requires that a woman cannot be inseminated with the sperm of a man who is not her sexual partner unless the sperm has been quarantined for six months and the man re-tested for transmittable disease. This six month wait is often seen as a stumbling block, but if you know about in advance, bank some sperm very early in the process. That way, the six month clock can start to run while you handle all the other aspects of preparation for the surrogacy. If the parties choose to carry out the insemination outside of a clinic, the parties are not constrained by clinic rules or protocol. Sometimes (but not always) the need for the involvement of doctors, lawyers and counsellors is not deemed to be a priority. Unfortunately, I often see this approach with traditional surrogacy, and in my experience this can leave people unprotected. Performing insemination at a clinic may pose a few hurdles, but clinic protocols are there to protect you. The main priority should be protecting the health of all parties, and proceeding without proper medical testing and good counselling should not be anyone’s first choice. I know that minimizing expenses can also be part of the motivation for choosing traditional surrogacy, but can you put a price on someone’s health? The second piece of advice is clear: work with a physician. Make sure that everyone is medically screened and protected. I often hear that clinics don’t understand the personal realities of some of the intended parents and can be uncomfortable for some. I know. I get it. You may not want to spend a lot of time explaining your decisions and your lifestyle and your details with a physician who believes that families should look a certain way or be created in a certain way. A bit of research will help here. Instead of avoiding all clinics, let’s find a physician or a clinic that is open and caring and welcoming. If you have chosen to proceed with traditional surrogacy, promise yourself that you will make everyone’s health a priority. Insist that everyone is thoroughly screened and the intended dad’s sperm is quarantined for 6 months. Take the time to discuss all aspects of the surrogacy journey. Make sure that everyone has access to a good counsellor and emotional support, and sign a surrogacy agreement before the very first insemination attempt. Following those steps won’t guarantee success or even an easy path, but they will increase the odds that everyone is safe and well prepared. 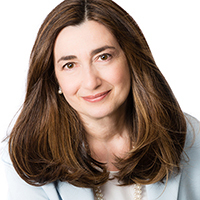 As a pioneer in the field of third party reproductive law, Sherry Levitan is recognized as the leading surrogacy and fertility lawyer in Canada.